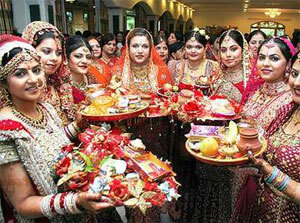 Home / Articles by Njkinny / Indian Festivals / Hariyali Teej: The Festival celebrating the auspicious bonds of marriage! 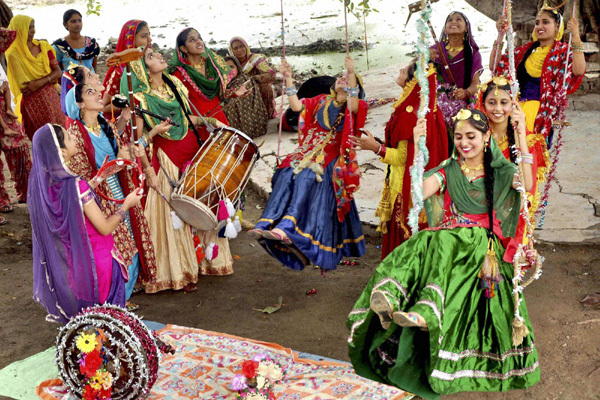 Hariyali Teej: The Festival celebrating the auspicious bonds of marriage! Today is being celebrated in many in parts in India as Hariyali Teej. While I am enjoying this day, I thought of sharing some information and the significance of this festival that is celebrated with such devotion and enthusiasm in India, with you. "Hariyali Teej", also known as Hartalika Teej, Shingara Teej or Haryali Teej is a major festival celebrated by women, both married and unmarried, on the third day of the first fortnight in the Hindu month of Shravan in India. It was on this day that Lord Shiva, impressed by her prayers, devotion and hard penance, finally accepted Goddess Parvati as his wife. The story goes that Goddess Parvati wished Shiva to be her husband but he was not easy to please and she had to prove her devotion and love to him, before she became the wife of the Lord of the Lords! In reverence to Goddess Parvati and inspired by her determination which had even the unworldly Lord Shiva who resided like a hermit on the Kailash mountain make her his wife, women pray, fast for 24 hours, adorn themselves in new clothes, jewellery, apply henna on their hands, wear green bangles, sing and swing on this day. It is believed that by praying to Goddess Parvati on this day, married women are blessed with marital bliss and their husbands granted long lives while unmarried girls are blessed with ideal mates like Lord Shiva. Coming in the month of Shravan which marks the beginning of Monsoon, this is also a festival celebrating new growth, prosperity and happiness. 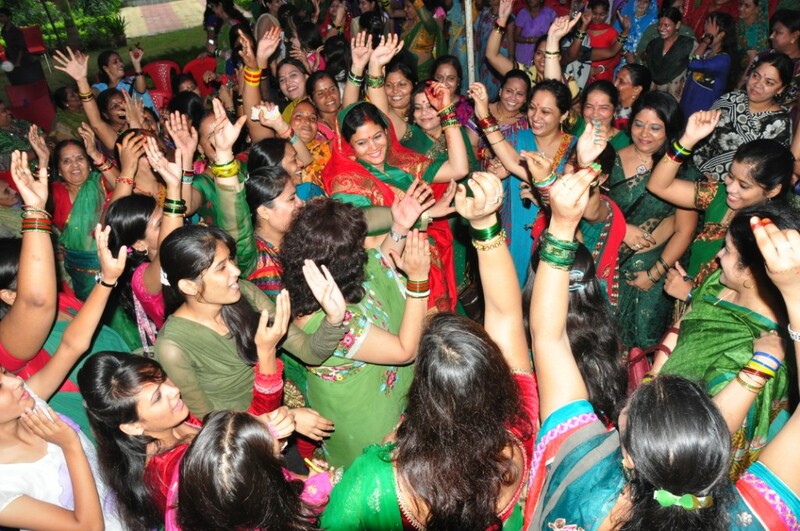 "Hariyali" means "Greenery" and so women wear green clothes, green bangles and sing and swing with friends celebrating the greenery of nature and life! 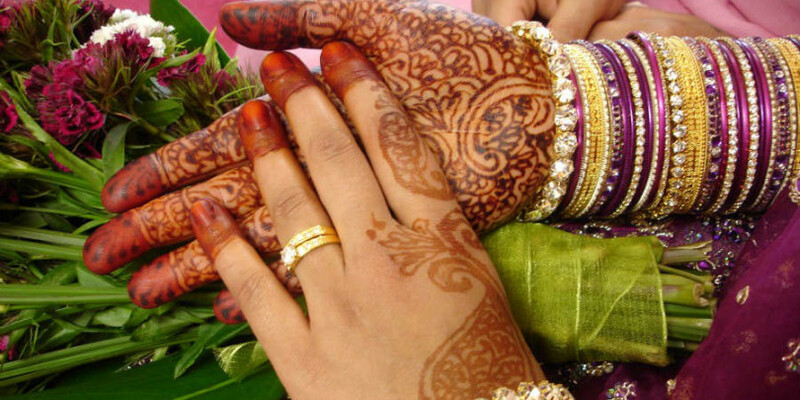 On this day, married women fashion themselves in new clothes and apply all the 16 adornments also known as "solah shingara" which includes applying vermillon (sindoor), bangles etc. (usually gifted to them by their in-laws) denoting their happily married status, pray to Lord Shiva and Goddess Parvati, fast for 24 hours, sing songs and swing on swings especially hung from trees. Special fairs are organized locally to celebrate this festival and there is merriment and a general celebration of the bonds of marriage all around. 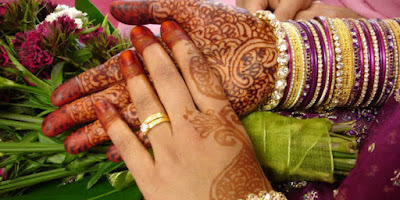 1) Women apply mehndi or henna on their hands and it is believed that darker the colour of the mehndi, the more is the love of her husband or fiance towards her! 2) Women also hide the names or initial of the names of their husbands or fiances in the mehndi on their hands. This is believed to show her devotion and love to her husband or fiance. 3) Swings are especially hung from the branches of Vrat or Banyan trees. The branches of this tree denote knowledge and swinging on these swings and dancing around them is believed to be very auspicious. 4) Goddess Parvati is also known as Teej Mata and hence the name of the festival Teej. 5) "Teej" means third and so all Teej festivals fall on the third day. a) Hariyali Teej- This festival is celebrated in the month of Shravana. b) Akha Teej - This festival is also known as Akshaya Tritiya. 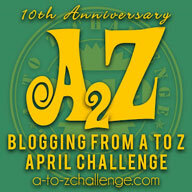 New ventures inaugurated on this day are believed to be successful. 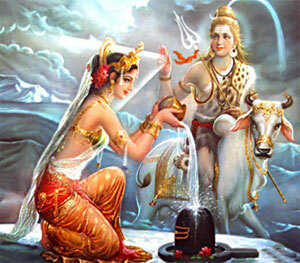 c) Hartalika Teej- On this day, the divine union of Lord Shiva and Goddess Parvati took place. In 2015, this festival will fall on 16th Sepetember. 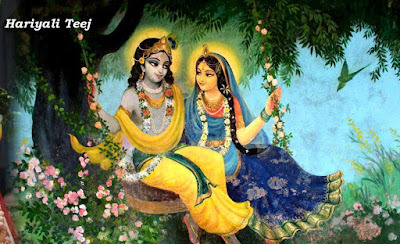 d) Kajari Teej- Also known as Badi Teej, this festival also celebrated womanhood and marital bliss. It will be celebrated on 1st September in 2015. 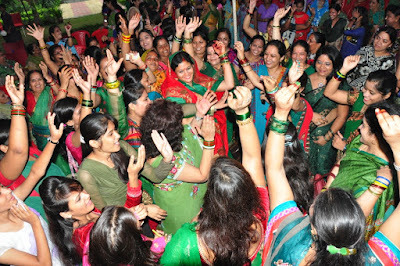 7) All the Teej festivals are celebrated especially for women and by women. 8) Teej festival has slowly gained par importance with Karwa Chauth that is another festival celebrated by women for the rich health of their husbands each year. 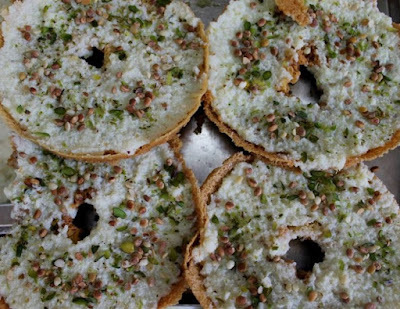 9) All kinds of sweet delicacies like Ghewar, sewiyan, gulab jamun, Kheer etc. are made at home and enjoyed by families. Ghewar is specially made, offered to the Gods and relished on Teej! All in all, Hariyali Teej is a festival celebrating women, the auspicious bonds of marriage and the strength of a wife who stands before her husband and family as a shield against all dangers and problems.